Footwear: Adidas NMD R1 ‘Blue’ . Overflowing with newness as the season undoubtedly requires, more adidas NMD’s colorways emerge with this blue pair being the latest. 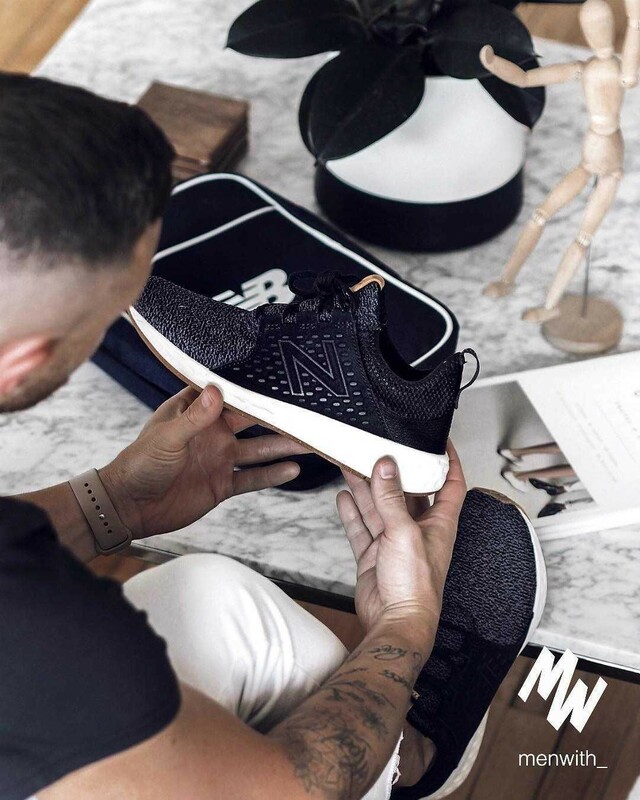 Effectively blending mesh and knit fabrication for a comfortable and fashion savvy appearance, a tonal upper speaks to contemporary allure while Boost cushioning and the ever-popular EVA plugs aids the midsole construction. The adidas NMD R1 “Blue” is available now at premium retailers now like Notre Shop. Footwear: Nike Free Flyknit Mercurial FC. The recently unveiled Nike CR7 Chapter 2: Natural Diamond boot has been reworked by Nike FC for the streets in the form of the CR7 Nike Free Mercurial Superfly. There is the flexible Nike Free outsole, as its name indicates, with a Flyknit upper that recreates the performance boot for lifestyle wear. The sockliner retains the crackle pattern of the Natural Diamond, symbolising how Ronaldo has crafted his game under pressure Ronaldo’s signature, and it also features his signature and “Created to the Exact Specifications of Cristiano Ronaldo”. You can Find the kicks Now Through SNS $199. SPORTSWEAR FIX: Nike Roshe One DMB Racer Blue. The Nike Roshe One DMB has released in a few different color schemes which have typically just been one shade all over. Now the brand has another DMB model known as ‘Blue Diamondback’. The Nike Roshe One DMB ‘Blue Diamondback’ is starting to land at Nike Sportswear accounts in Europe. One of the first stores to debut this model is Solebox. Their retail price is price €140.00 which is approximately $152 USD. More locations as well as stateside shops will have this pair in the coming weeks, give or take. Find the kicks Now Through Solebox. SPORTSWEAR FIX: Nike Air Tech Challenge II QS. SPORTSWEAR FIX: NIKE WMNS AIR FORCE 1 ULTRA FLYKNIT. Find the kicks Now Through Caliroots.